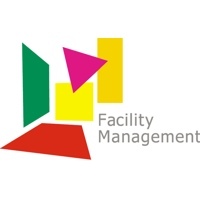 FACILITY MANAGEMENT is Germany's special- interest event focussed on facility management which include both an exhibition and an international conference program supported by all leading associations. Professionals from the following fields Project management, Operation models, Investment solutions, Real estate and major project financing, Leasing, Development plan, Land development plan, Planning of alternatives, Accommodation consultancy, Operational costs accounting /-optimisation, Preparation of budgets, Sanitary installations, Waste management, Security services. Profile for exhibit includes Planning & building, Project management, Real estate & major project financing, Business & Contract management, Corporate & General Real Estate Management, Fire protection, Building automation, Heating, air-conditioning & ventilation techiques, Sanitary installations, Environmental control, Waste management, Building cleaning services, Security services, Network techniques / management, reconstruction, Renovation, Rehabilitation, Reutilization.